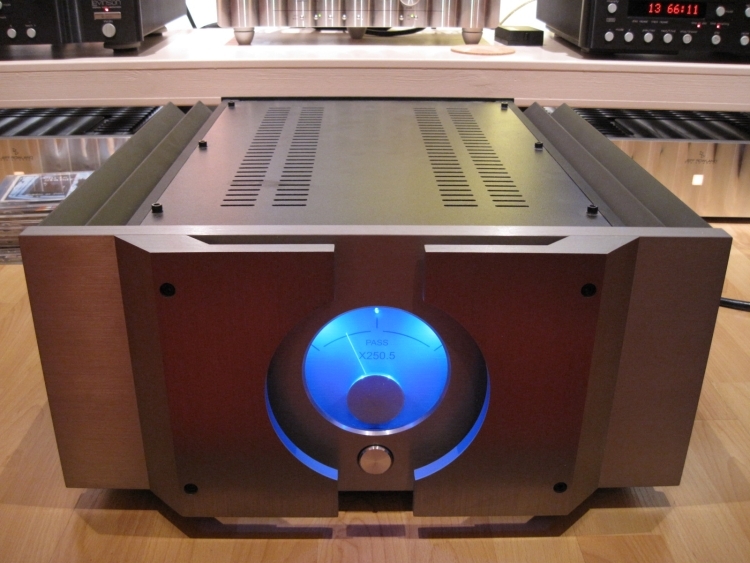 I think it’s fair to say that the Pass’ looks divide opinion, but one thing is for sure: this is a HUGE amp. 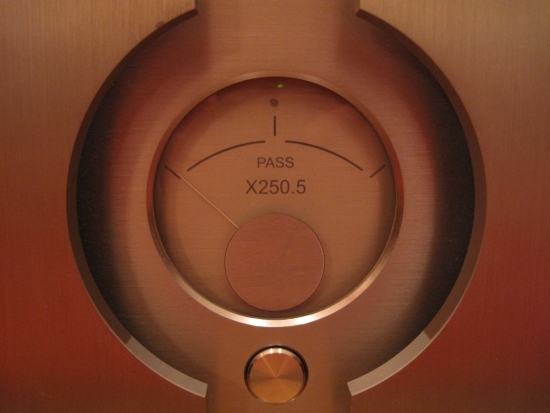 I had only heard Pass amplifiers before in mono-versions in a 5 channel setup with B&W N801’s and that sounded very impressive, but I have never heard them in the comfort of my own home. Until now that is. Above: the blue light is not too bright but smoothly glows in the dark. 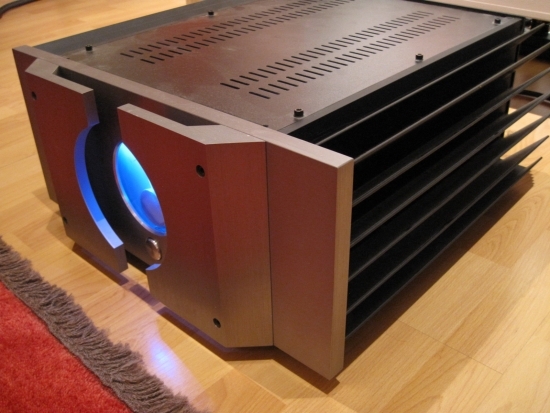 It is one big amp though. Be sure to have a strong back if you plan on moving it! The pass was listened to over a period of a few days and as it was pre-owned by my friend Jeroen it was already well-played in. 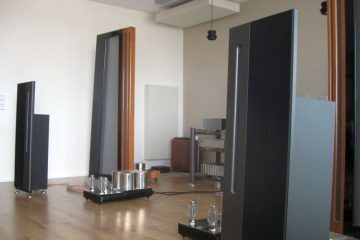 It had to perform in the company of Jeff Rowland preamplification, Mark Levinson digital, all Transparent Ultra and Reference cabling and Magnepan MG3.6R magnetostatics. I have to say that at first, I didn’t miss a thing. It was all there: soundstage width, scale, focus, dynamics and detailing all were more than adequate and never gave rise to suspicion. 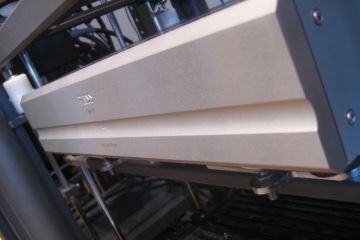 And the Pass was very natural sounding, with great bass and it was even well-paced, unlike its sibling preamp. There was never a sense of aggression, nor was there a lack of enthusiasm. It was just great sound. Sure, without straining I could detect small differences with the Rowlands like a tiny amount of air missing in the highest highs, or the absence of the subtle Rowland soundstage layering. But in practice, the Pass was nothing short of excellent. It also had plenty of power and after a couple of days, I started to think that perhaps the Pass’ bass could even be better than the Rowlands’. 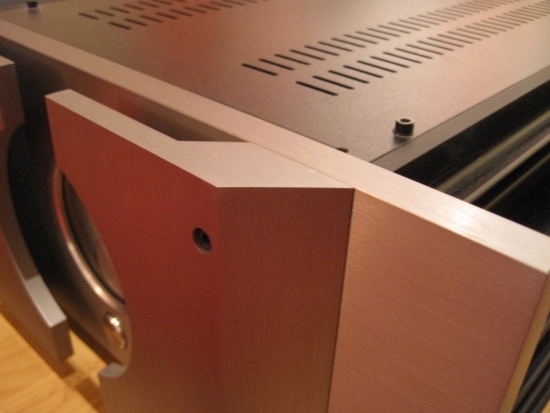 Mind you, I still hadn’t swapped back to my own amps and I actually started to fear the moment the Rowlands would be back online, and by now I had entered the audiophile-critic-mode unwillingly. Could the Pass be ever so slightly aggressive in the mids and lower highs? First impressions were excellent. I didn’t miss a thing. Now I was getting curious. Back came the Rowlands. Immediately there was this recognizable utter smoothness and lack of grain. Now it was clear that the Pass was slightly harsh in the treble, and did indeed lack the renowned Rowland fluidity. The Rowlands are just so very velvety in the highs, yet never snow or dull that it’s hard for other amps to match these criteria. But there are more audiophile aspects to be assessed and it was also immediately clear that the Pass had better bass than the Rowlands. Not only was it more visceral and powerful, but it was also agile and fast. 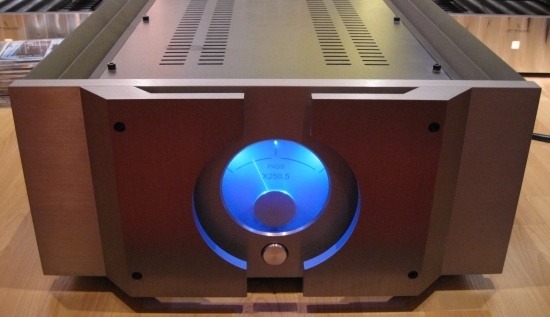 It reminded me of the Bryston 7BST bass: full and deep yet never thick or slow. Now I wanted to be absolutely sure and swapped the amps over once more. Okay, now I was sure. Pass was definitely better in the bass department while the Rowlands were definitely better in the fluidity and airiness of the highs. But there were more things I noticed. The pass was more enthusiastic, somewhat more filled-out in the mids, having more meat on the bones so to say that the Rowlands which tend to be ever so slightly lean in the upper bass and lower mids. Still, I couldn’t make up my mind as to whether I liked the ever-cheerful forwardness and slightly more aggressive music-making of the Pass more than the relaxed, ever fluid sound of the Rowlands. I need to stress that both amps are never slow or undynamic. It’s just that the Rowlands refuse to shout while the Pass is surely capable of doing so. Then there are the little switches at the rear of the Rowlands that few people know about. If you’ve ever heard a Rowland amp and found it too laidback and undynamic, chances are that both switches were in the low position. There is a switch for gain (low and high) and input impedance (low and high). 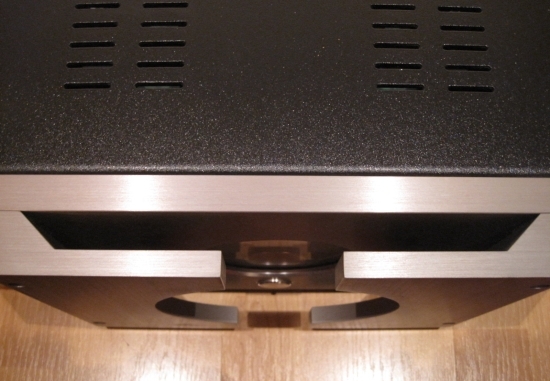 For my tastes, and with the direct sounding Logans and Magnepans, I prefer both switches in the low position. Put only one of them in the high position and the model 6’s start to fly! They become so very fast that even the fast and dynamic sounding Pass sounds less dynamic. But the sound loses most of the relaxed velvety lushness that I so prefer so that I run back to the switches to flip them back to the low position. So, the Rowlands can be as dynamic and even faster than the Pass, but in doing so they lose some of the lushness that I like them for so much. If you want big, bold sound that bursts with vitality and that you can really rock to, don’t try to do that with the Rowlands but go for the Pass instead. 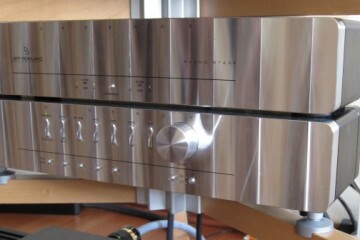 It is an incredibly musical amp with real gusto. It is a tiny bit edgy and can get shouty, but for some tastes and some music, that’s could be just the ticket. The Pass is one of the few amps that I could just live with if I didn’t have the Rowlands. But in the end I was glad to have my sixes back on duty.